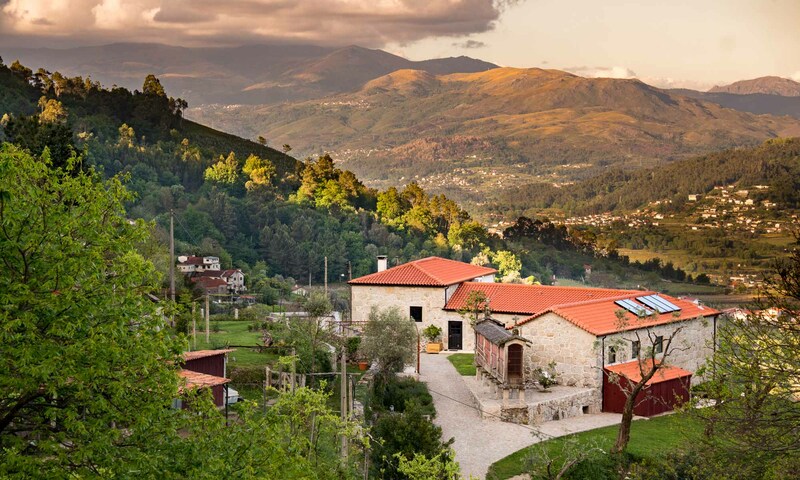 Fazenda is the largest of the four apartments at Quinta Olivia. 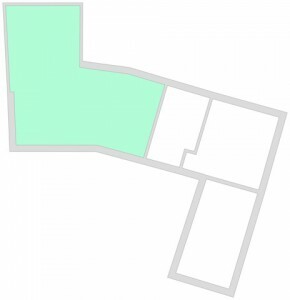 It measures 190 m² (624 ft) over two floors. 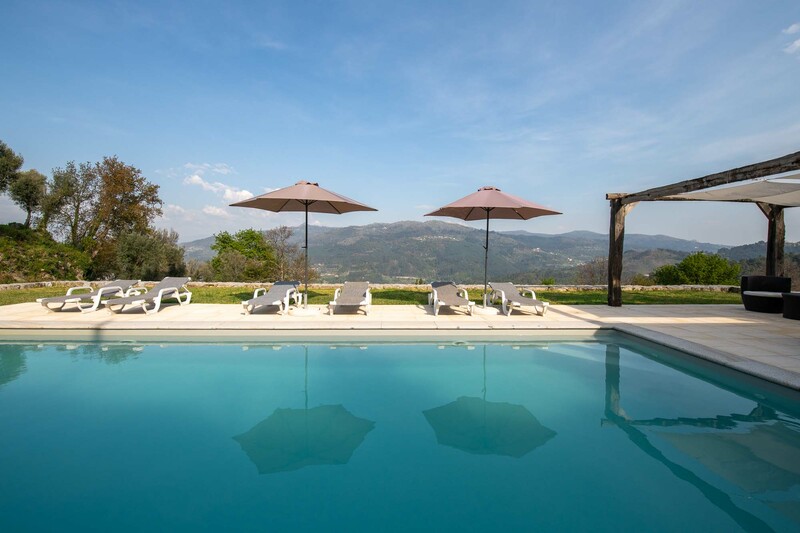 Through the courtyard of Quinta Olivia, you will enter Fazenda through a spacious hall. 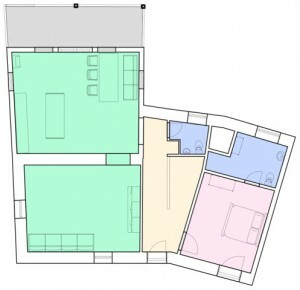 Immediately to the right you will find a bedroom with two double beds and separate bathroom. In the hall there is also a third toilet. 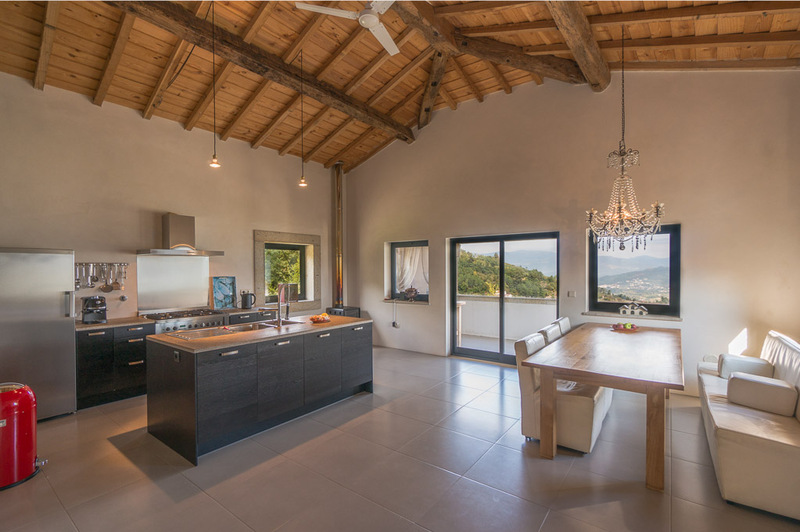 Through a small staircase of three steps you enter the large (35 m²), high kitchen equipped with all appliances. From the kitchen to the spacious covered veranda (15 m²) with daybed and magnificent views over the Vade Valley and the mountains of the Peneda-Geres. The kitchen adjoins the lounge with comfortable sofa and wood stove. From the entrance hall, a wide staircase leads to the ground floor. Here you have access to your private terrace and the master bedroom (44 m²) with double bed with open-plan bathroom. Entrance hall with bedroom, bathroom and toilet. 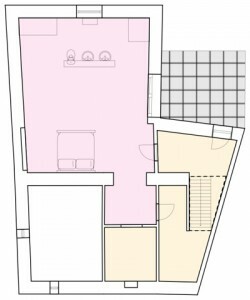 Open kitchen with stove, dining room with adjoining balcony. Sitting room with wood stove. Hallway, bedroom with bathroom and shower. Wardrobe and storage room with washing machine.